Are you looking to throw an event that’ll be remembered by all for years to come? 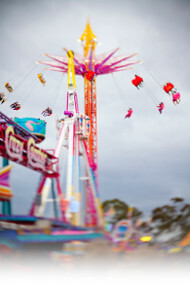 There are few things more fun for young and old like amusement rides. Melbourne’s a while away from the many amusement parks o the Gold Coast, but that doesn’t mean that you can’t bring the fun to your neighbourhood! 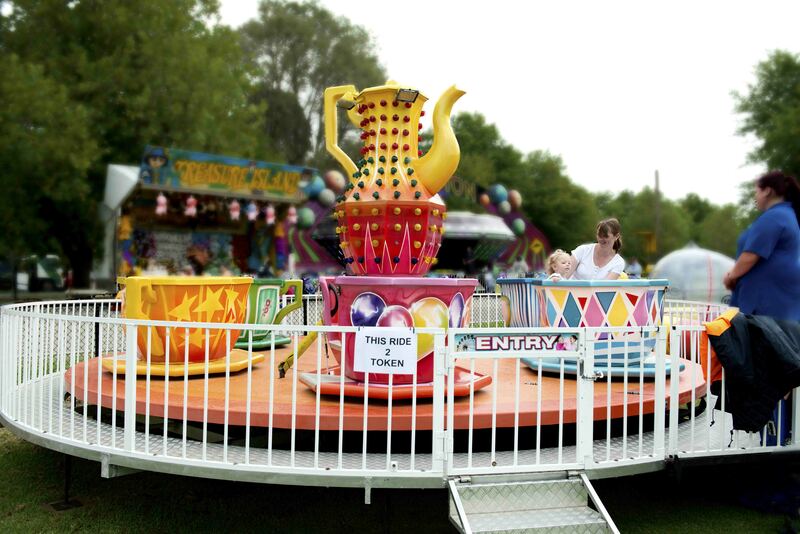 Smart Amusements has tea cup and saucer rides and much more to make your next event a standout one. 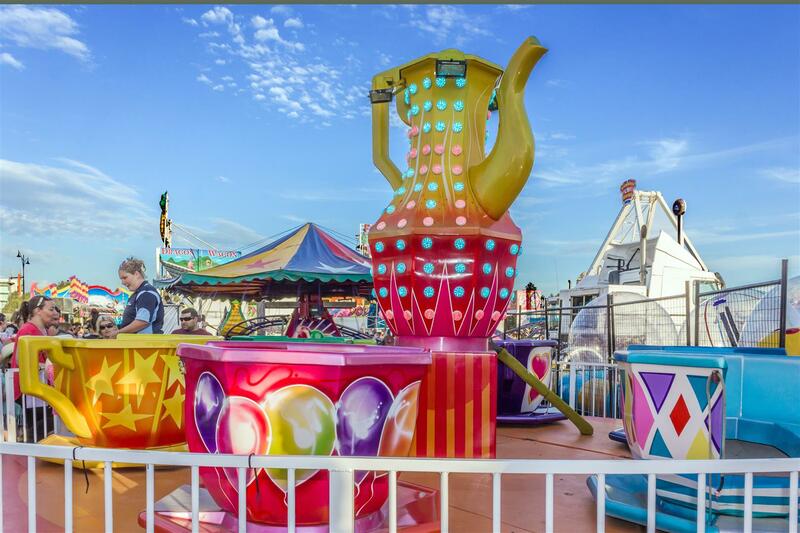 Get in touch today on (03) 9555 6606 to discuss your tea cup ride hire options in Melbourne. The ride is based on the larger models found in amusement parks but are more easily transported and set up for a neighbourhood carnival, a fundraising event, or an out-of-the-ordinary birthday party. Measuring 8 meters in diameter, it can hold up to four children or one adult and two children in each of its six cups. 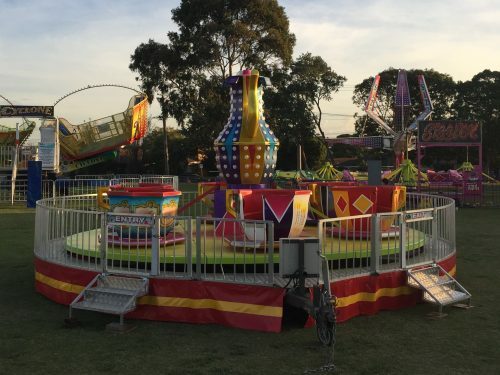 This ride is an old amusement favourite and is sure to make a splash in your next event. We’ve all surely experienced the thrill of this ride – and if you haven’t, what are you waiting for? Expect a crowd when you hire this ride! Its colourful design will draw the eye of all ages in the daytime. 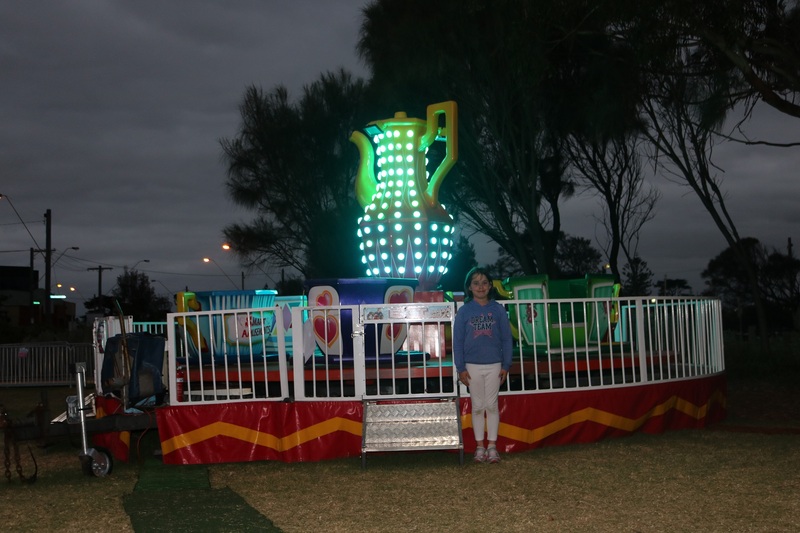 At night the dazzling lights along the teapot will light up the night sky, the towering gumtrees, and smiling faces alike! When you’re throwing an event to draw a crowd, you want to make sure not to be a one-hit-wonder. With our extensive rental company, you’ll be sure to secure all your most favourite carnival games! We’ve got duck ponds, whack-a-mole games, dunk tanks, fun spinners, giant chess, laser tag, hangman laughing clowns, and so much more! If you’re interested in hiring our tea cup ride for your next event, feel free to reach out to our friendly and zany team today on (03) 9555 6606. We’re also happy to answer any and all questions you have about our games, prices, and terms! 8 metre diameter fence to fence. Based on the ride seen at major amusement parks. The colorful cups spin around on their own axis as the whole ride turns. This attraction has 6 cups each of which seats up to 4 children or 1 adult and 2 children. Parents can ride with children. The cup and saucer can be enjoyed by the whole family. Two cup and saucer rides available for hire.